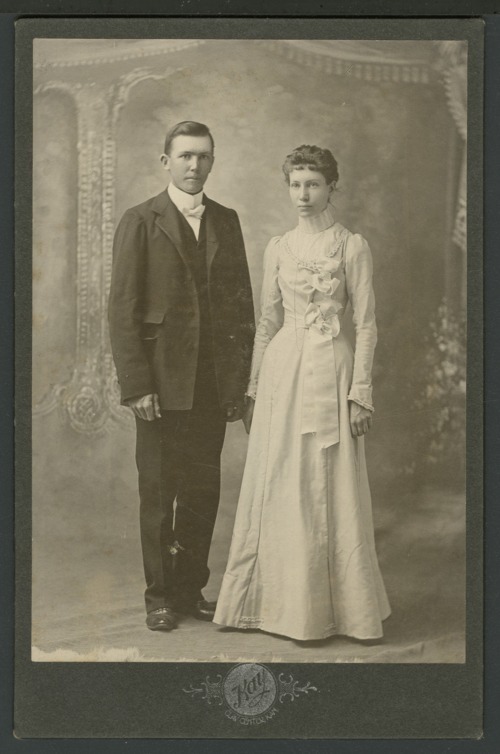 This is a photograph of Harry Owen and Cecil Newton Owen possibly taken on their wedding day. Cecil is the daughter of Henry O. and Emma Newton who lived near Goshen, Kansas. The photograph was taken in Clay Center, Kansas.